If you've ever had kids, or more specifically carpet in a kids' room, you will get where I'm coming from. For the last year, and up until recently, we had a carpet stain on display for all to see in our boys' room. 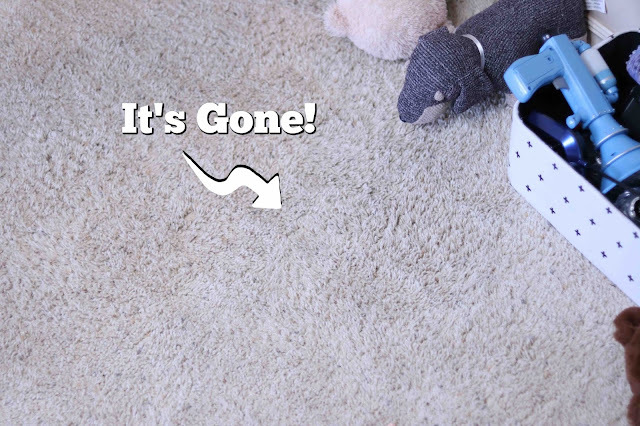 That is until we found this magical cleaning elixir called Carbona 2-in-1 Carpet Cleaner. But I'm getting ahead of myself. Let's start at the beginning. It was about twelve months ago and it was one of those nights where according to the clock it was coming to an end, but you had a feeling that it was only the beginning. You see my oldest son said he had an upset stomach. At first we thought we has just trying to get out of eating his vegetables at dinner. However, after a good deal of complaining we got him ready for bed along with our other kids. But as any parent knows, just because you get your kids ready for bed, it doesn't mean that sleep is coming. Well it wasn't long after we put our boys into their bunkbeds that we hear the oldest, laying on the top bunk, telling us he "doesn't feel so good." About 1.34 seconds after that he lost his dinner. Through the bars of his bunk bed. Onto the carpet. Well my wife and I divided and conquered. She cleaned the bed while I cleaned the carpet. 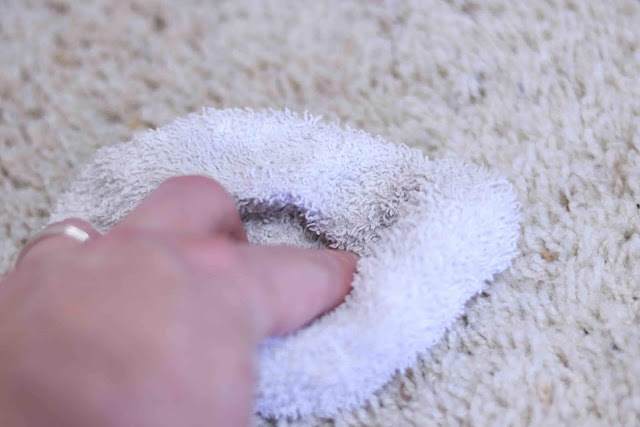 Or at least I tried to clean the carpet. Then I tried again the next day. Then my wife tried after that. 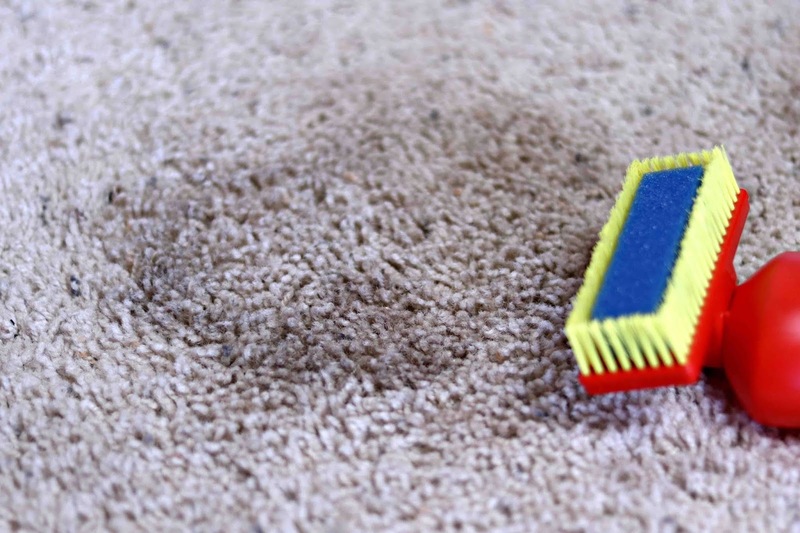 Let's just say that long after my son had won the battle against his upset stomach, the vomit had won the war against our carpet. Fast forward a year and we had pretty much given up on removing the stain, resigning ourselves to the fact that it had become a grim reminder of that fateful night where we tried in vain to get my son to finish his vegetables. But that isn't the end of the story. A few weeks ago, my youngest (the one with the mud smeared feet in the photo above) decided to go from the backyard directly to his room, sloshing through the old stain and creating a new one. While on one hand we were grateful to cover up the old stain, mud wasn't exactly the most ideal way to conceal it. However, after many failed attempts we decided to try a cleaner that we had only recently discovered. It is called Carbona 2-1 Oxy-Powered Carpet Cleaner. We figured we might as well try it since nothing else had worked. 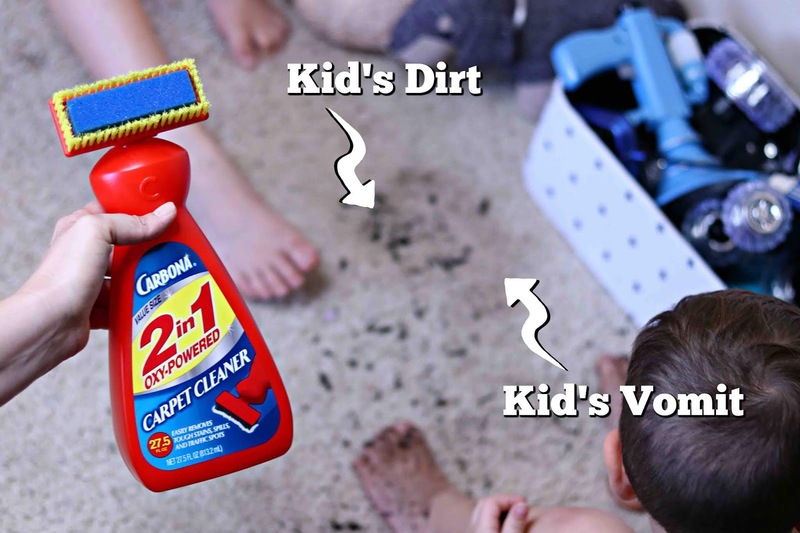 We vacuumed up the pieces of dirt and then worked the oxy-powered formula into the spot using Carbona's brush head attached to the top of the bottle. Then I blotted up the excess with a clean cloth. At first, we were skeptical. Why would this succeed in an area where so many others had failed? What made this so great? Well we read that even though we had never heard of this cleaner before, Carbona had been around since 1908. They had to be doing something right. While the spot was still wet, my wife gave the stain serious side-eye. She would believe the miracle when she saw it. After a few minutes the carpet dried and we couldn't believe that, not only was the new dirt stain gone, but the old stain was also a distant memory. We seriously couldn't believe our eyes. Now I'm not telling you this because Carbona is partnering with us on this post, I'm telling you this because every word of this story is true. We had absolutely given up hope on ever getting this stain out. We only thought we would try Carbona just in case. After that, my wife was pretty much telling her entire family that they should pick up a bottle. So that is why we had to share it with you today. I love telling you all about products that we are sold-out on and couldn't do without. 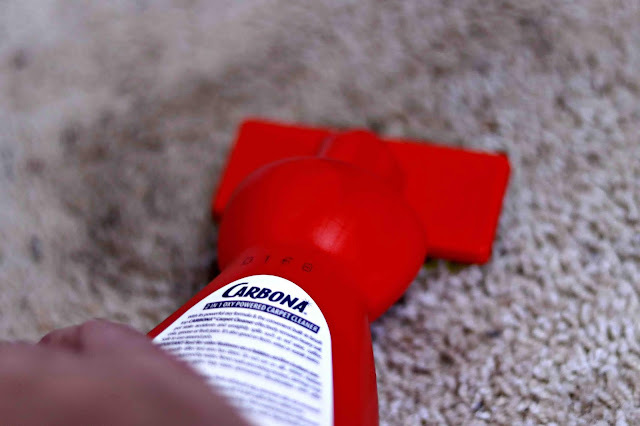 Carbona's carpet cleaner is now one of those products, so you should go check it out for yourself. Because as parents, we all are going to deal with stains. How long you have to deal with them is up to you.